If ACI hosts your website, we can also host your email service. Get username@yourdomain.com. 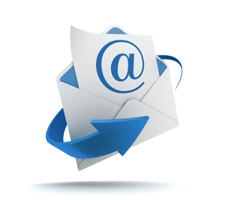 Email can be configured with client side software (Microsoft Outlook, Thunderbird, etc.) or accessed via the Internet using a web interface. We can provide users with forwarding addresses and aliases with domains hosted with ACI. ACI utilizes industry leading hardware and software, including Barracuda Systems spam filtering and Software Solutions anti-virus from Symantec, to safeguard users from malicious messages. Each user has the ability to whitelist or blacklist email messages using a web interface.